The great Ramesses II built seven rock-cut temples in Nubia, the most spectacular of which is undoubtedly Abu Simbel, 320 kilometres south of Aswan. The temple portrayed Ramesses as the mighty god-king protector of Egypt. This was a grand symbol of Egypt's power, right on the frontier between the Two Lands and the conquered, but still wild areas to the south. To the north of Ramesses' main temple is the 'Small Temple' built in honour of the king's great wife, Nefertari, and the goddess Hathor of Ibshek. Just like the main temple, the cliff face was cut back to resemble the sloping walls of a pylon , such as those at Luxor and Karnak Temples. In niches cut into the facade, colossal figures stand 10 metres high - four of the king and two of the queen. "This show heightens the experience of visiting the temples ... a once in a lifetime experience." "I cannot tell you how terrible this is. The sound is overwhelming. The light are nice, but the show is too long. Go to the temple - but forget the light show." "Best Sound and Light in Egypt"
"This is a surprisingly good show for someone who's not a fan of Sound and Light Shows. Lots of laser and good music. The two mountainsides act as huge screens for moving images, so you don't just see the same statues relit in a thousand different ways." Pictured is part of the Sound and Light Show featuring the 'Small Temple' of Nefertari.This is a detail of a scene from the descending corridor in her dazzling tomb in the Valley of the Queens. Here she offers two round nemset jars to three goddesses (not shown): Isis, Nephthys and Ma'at. Nemset jars were ritual vessels which held perfumed water for libation (ritual pouring) or lustration (ceremonial cleansing). 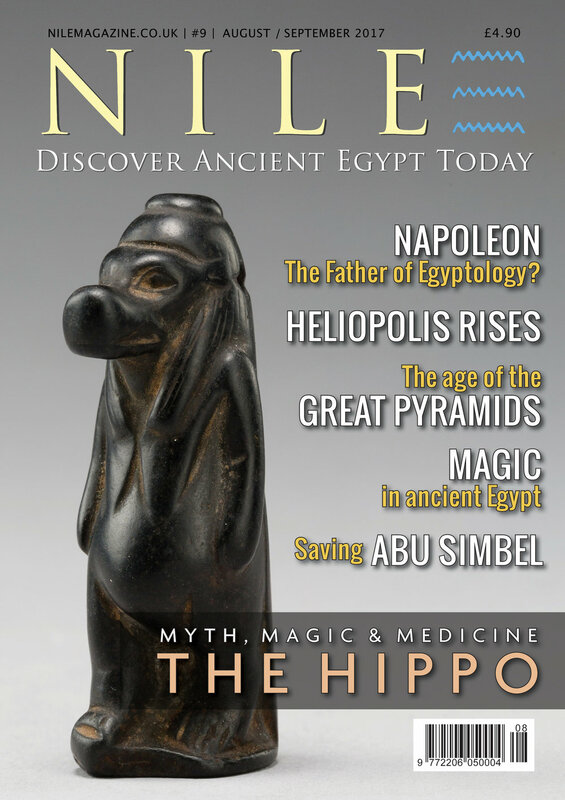 Read more about Ramesses II's sometimes casual approach to the truth in the latest Nile Magazine. Visit the 'NILE Store' page to download yours today.